For a number of years we have encouraged our students to return all the necessary paperwork so that we can have the information available. As an incentive, Mr. Perkins (with a little help from his friends) used the snow cone machine to reward the students for their help. 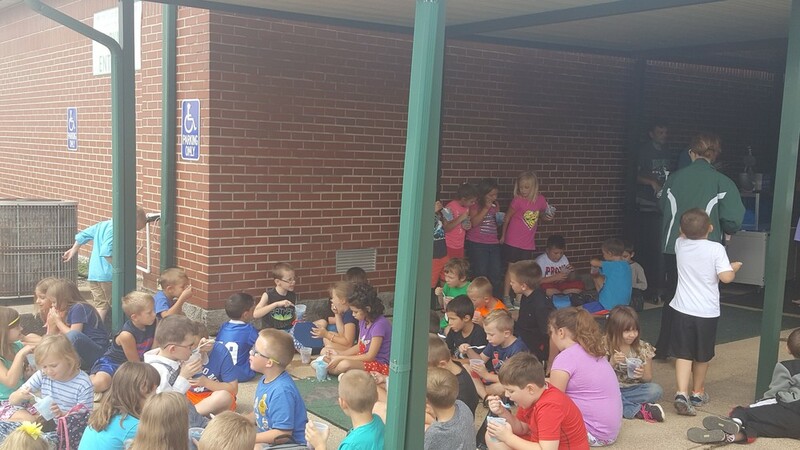 As you can see, Junction Hill students love the snow cones. Thank you Mr. Perkins for taking the time to offer such a great incentive.